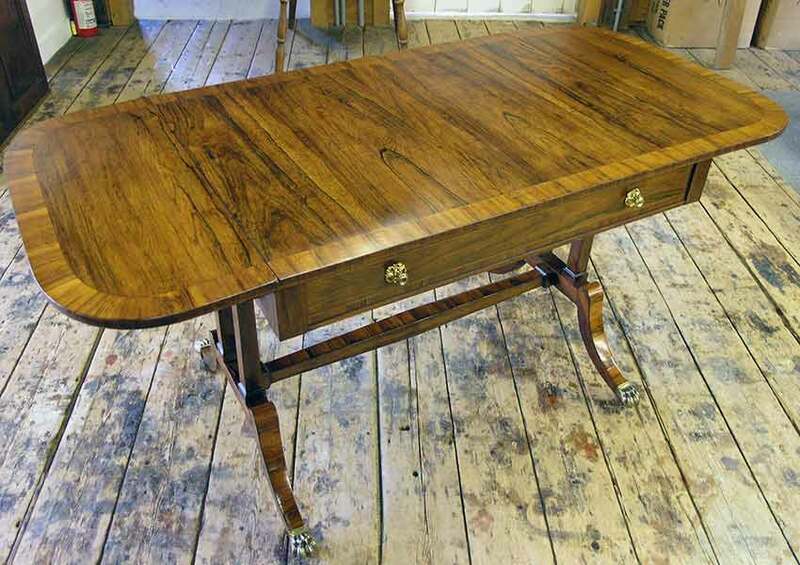 Restoration for this 19th century rosewood sofa table included re-gluing loose veneer, repairs, and polishing. 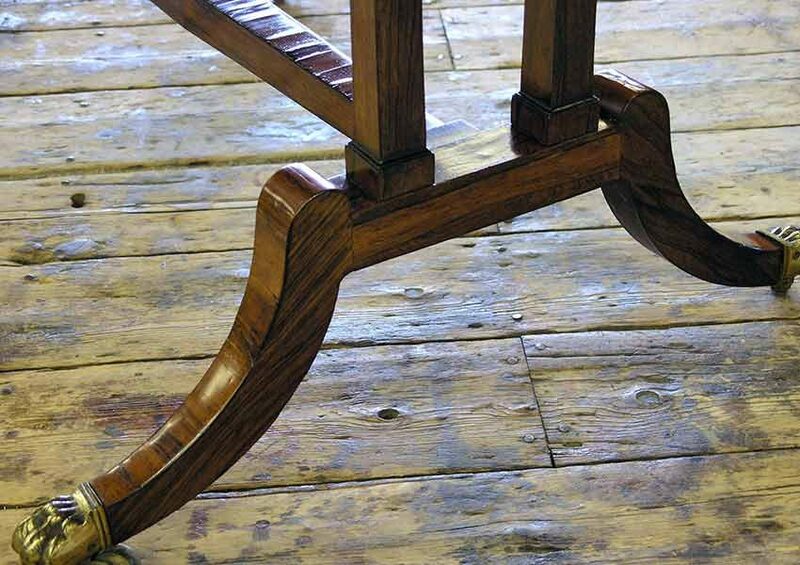 To begin, I repaired one of the legs which was broken, and re-glued most of the veneer throughout the base. Next, the large single drawer was reworked and waxed so it would open easily. The finished was then cleaned, touched up, and French polished. To complete the project, everything was given a fresh coat of wax. 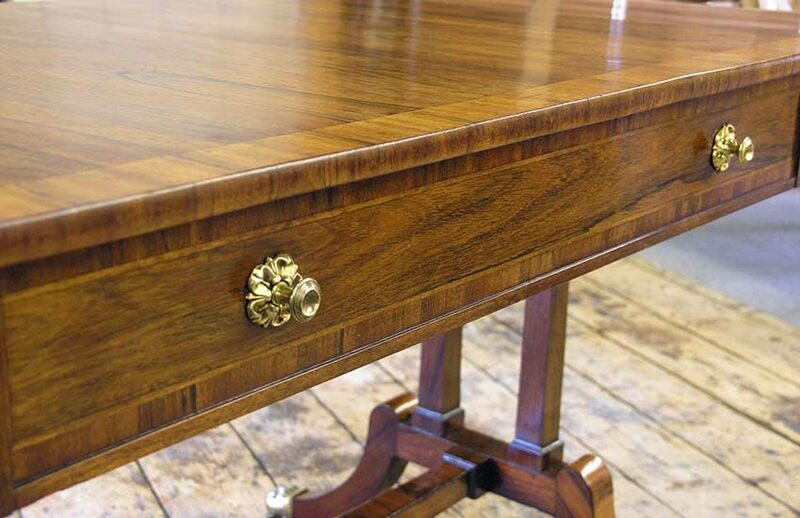 This antique sofa table was restored for a Norfolk CT client.